Observation - Hungry Robin - UK and Ireland. 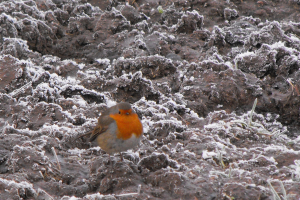 Description: A hungry robin that comes to cattle feeders as I feed grain during hard weather. A hungry robin that comes to cattle feeders as I feed grain during hard weather.